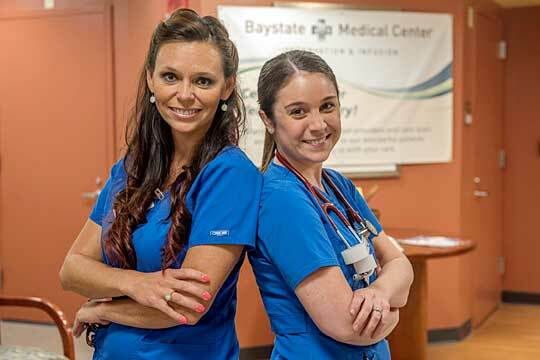 Baystate Health Together, we deliver a higher state of caring. Through the depth of our compassion, through the breadth of our diversity, by raising the standard for excellence, we unite our talents to deliver a higher state of caring. I chose Baystate Health because I heard from a friend it was great place to work with valuable benefits. I enjoy what I do and I love the people I work with. I chose Baystate Health because of the opportunity to make a difference, in our local community and in healthcare as an industry. I chose Baystate Health because they had an excellent reputation and I knew it was a great opportunity for me to learn and grow as a nurse. I chose Baystate Health because I knew I would be surrounded by a team of individuals that would share my compassion. I chose Baystate Health because I wanted to make a difference in people's lives.